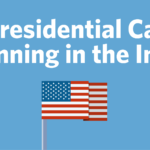 ﻿ Which Presidential Candidate is Winning in the Inbox? » Red Mango Marketing! Which Presidential Candidate is Winning in the Inbox? It’s election season. Which means political-fueled fighting over the dinner table, people taking selfies wearing “I voted” stickers, and candidates vying for the highest position in the nation. While each candidate uses a variety of marketing tactics — including television appearances, advertisements, and well-planned debates — email marketing continues to be one of the most powerful methods for candidates to reach their audience, raise funds, and grow a community. We waded through a random sampling of emails sent by the campaigns of Hillary Clinton, Donald Trump, Jill Stein, and Gary Johnson, measuring them on criteria that included sending frequency, email length, and the use of donation buttons. Below, we present our findings without judgment or partisanship for you to draw your own conclusions. Who’s nailing their outreach and who needs to spend more time going over our email marketing best practice guides? Want to see how email marketing can work for you? Try it out for free. Sign up for your free 60-day email marketing trial! The post Which Presidential Candidate is Winning in the Inbox? appeared first on Constant Contact Blogs. This entry was posted on Monday, October 17th, 2016 at 8:00 am	and is filed under content, Email Marketing, Fresh Insights, infographic, News, News & Updates. You can follow any responses to this entry through the RSS 2.0 feed. Both comments and pings are currently closed.